Schedule can be found here. This entry was posted in Events and tagged bbiCHI2011, chi2011 on May 5, 2011 by Kiel Gilleade. 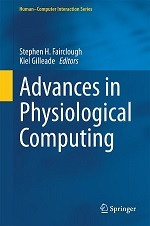 I'm a computer scientist with a background in the development of physiological interactive systems. I have worked on a range of physiological interactive systems, including computer games, interactive artworks and life tracking. My research interests focus on the development and evaluation of physiologically interactive technologies. I currently based in Antibes, France.